Seems like the team responded in a big way after my last take was all about “turning out the lights”on the Cowboys season. Maybe I should continue to doubt them on a weekly basis and maybe, just maybe they’ll run the table for us! How sweet would that be! As great an effort we witnessed on Sunday night, it also appeared that Philly was suffering from post SB blues or they were reading their props and the expectation that they’d roll over the Cowboys before a national audience. It was a strange game from my seat. We finally played up to earlier expectations, while the Eagles failed to play up to expectations more fitting of a SB winning team. Don’t we all expect that Zeke can run for a buck fifty, if he gets 20 – 25 rushes a game? Heck, what’s seven yards per carry, he’s Zeke! He had a terrific night. I know I’ve grown to expect really solid play from this defense. Last week against the Titans, they didn’t get it done after the first ten minutes of that game. On this night in Philly, the defense shut them down from their first possession and thru the entire first half. 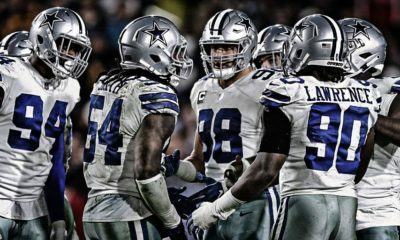 That was critical as the Cowboy offense was failing to get much going themselves. In the first half Dak & company failed to cash in the sweet read and pick by KVE who set the Boys up at Philly’s 38. Ok, 3-0. Two possessions later they had a nice drive, but again only a FG. Ok 6-0. Philly answered with a 3 of their own from 56 yards out. On the final possession of the half, Dak did a nice job moving the ball around to four different receivers ending in Dak punching it in for the TD and a 13-3 lead. The 2nd half didn’t get off to a good start. While the Cowboys got the ball, the first play of the half nearly officially ended the night and season. Dak attempted a naked bootleg and was slammed to the turf by Michael Bennett, who clearly didn’t bite on the fake to Zeke. It seemed as though Philly instantly gained the momentum. Philly put up 10 points in the 3rd quarter to tie up the game. We had a good drive with Zeke taking two handoffs for 54 yards, but to no avail as the drive stalled and Maher missed the FG attempt. 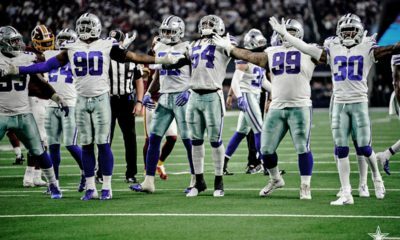 The Cowboys took the lead back with a nice drive culminating in a nice little swing pass to Zeke who cruised in from seven yards out to provide the final margin of victory. The Cowboys certainly won the highlight plays in this contest. KVE started it off with his INT on Wentz and on 3rd and 2, he blew up the play for a loss of three. Collinsworth, called it the play of the game. We saw a big sack by Randy Gregory, a much needed one for him, then the off the charts leap over the safety by Zeke. Plenty of big moments and who can discount the handful of pass break ups by the secondary this night. That was more of what I’d been expecting from this unit. Vanderesche reportedly had 19 tackles, 13 solos, on the night. Kind of think he’s ended the discussion a few months back that he was a bad choice in the first round. 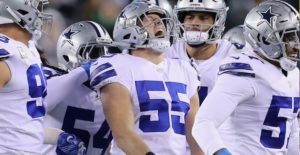 Not that I side with management often but targeting a linebacker given Sean Lee’s inability to stay on the field, looks like an excellent decision. Often it takes a year or two to evaluate a selection but clearly this young man has been impressive right out of the gate. 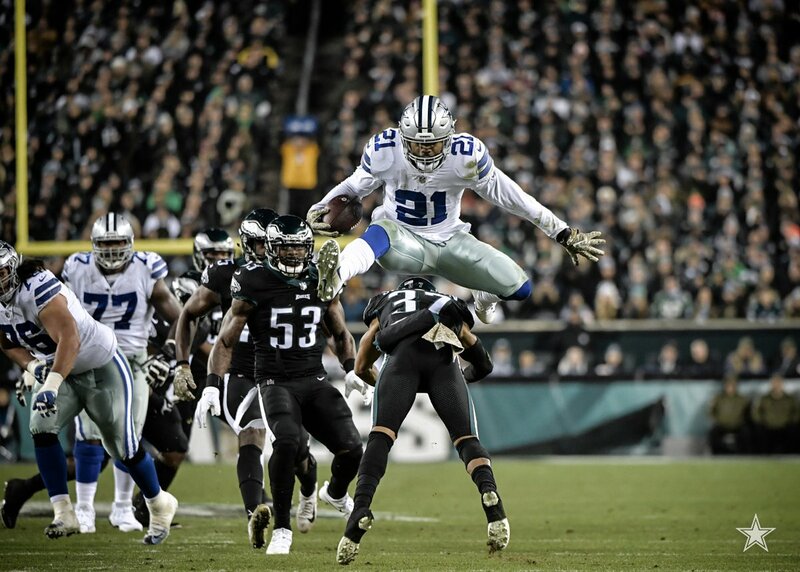 Here’s a short clip of Zeke’s leap over the safety who planned on tackling him, at least waist high in an attempt not be posterized, knowing Zeke’s ability to go high. On this night we have to give props to the O line, particularly in the fact that now two starters were out, with Connors the latest injured party. His fill in, Sua’filo, recently signed, played a pretty impressive game. Brian Baldinger does a really nice job of evaluating the tape of the very same play on Zeke’s leap. The rap on Swaim is his blocking but on that play, he’s driving his man ten yards downfield. The two minute tape shows Sua’filo clearing a lane as well. Key to the night, at least offensively, is that the O line, was really executing its blocks. In watching the tape of the game, given the lanes, was it any shock to you that Zeke rolled up 151 yards on just 21 carries? Now that we’ve given you a few views of Zeke’s leap, here are his 25 touches. Try to watch the lanes he’s got in front of him, making it possible to wrack up the chunk plays we saw throughout the game. You can watch on one of these plays where Zeke churns up 35 yards, that Rico made a nice block on Graham, keeping him wide and helping create the cavern for #21 to run thru. More blocks like that and he’ll see more snaps. The major difference in this game offensively certainly centered around the line play, creating lanes for Elliott, no question. How much of that difference stemmed from the coaching change from Alexander to Marc Columbo? Hard to put a value on it, but something was dramatically different and yet highly productive. We can’t dismiss the addition of Amari Cooper either. My initial thoughts on that trade was we’re getting a top flight WR, but will Dak be able to cut it loose and actually make the throws to him? Here Baldy has a one minute clip showing a few routes run by Amari and his ability to gain separation and give his QB a quality target. Now for the 64 million dollar questions? 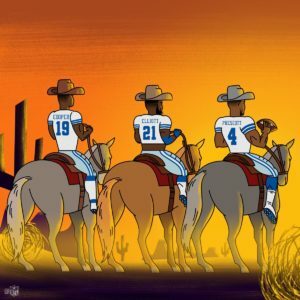 Can Dallas repeat the effort & execution this week in Atlanta? By the way, did anyone question the play calling this week by Scott Linehan? Hmmm, didn’t think so! When everything works like it did, because of the quality of execution, the coordinator on either side of the ball, looks like a flippin’ genius. We’ve all watched this team during the Linehan (OC) era put some great games together and produce very productive offenses. Our expectations are high every year but we have to take off the rose colored glasses and dissect the problems when its time to do so. 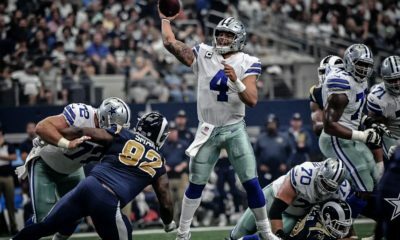 I still have serious reservations about the offense with Dak under center. We saw his resolve, toughness and competitiveness among many platitudes we can pass out on this night attached to his name. I still saw things that make me shake my head in disbelief, but those issues were wiped clean by the overall performance. Yet, bad habits persist, because under pressure, players revert back to what they know and have done. In the NFL, those lead to missed opportunities, mistakes and losses. The team faces a tough stretch, it didn’t end on one night, but it did turn a ray of light on for optimism. When you see them or any team play at this level of play, you know they can do it. Can they repeat that or kick it up a notch? You and I need to see them bring consistency, at a serious level to have confidence beyond our being rabid fans. They gave me reason to be thrilled that they can play at a far higher level, the one I’d been looking for in week one, two & three, etc. When the line opens craters for Zeke, then Dak’s burden is minimized. That’s a big part of the purpose of making the trade for Cooper. 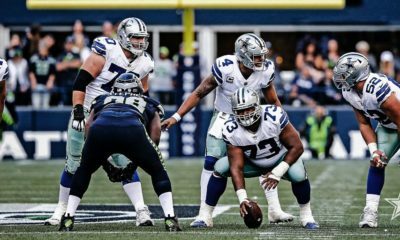 But the teams will stack the box to slow down Zeke and prevent those big runs we saw on Sunday night. Coop’s done his part in winning one on one coverage, but each week now, teams will make him a focus and look to control him and Zeke. If the Boys up front, continue to block as they did Sunday, then throw in the effects of having the third horse on the outside and we just might have a little something brewing in Big D.
I’ll turn the 60 watt bulbs on for this week but I’ll have the 100 watt one’s ready to replace them should we see terrific performances on both sides of the ball down in Atlanta, then back home against Washington. The Boys worked themselves back into the NFC East and these two weeks will determine the lights going back on or not!